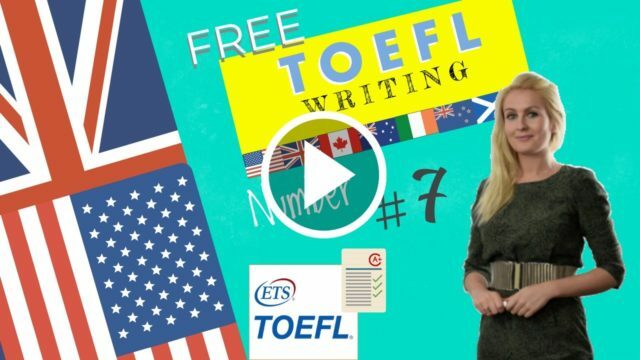 Here are some toefl writing tips that will help you succeed: Try to write an essay every day. Practice makes perfect. Some people think that family is the most important influence on young adults. Other people think that friends are the most important influence in young adults. Which view do you agree with? Use examples to support your position. We are social animals and we like to mix with others, naturally we are influenced by those we meet during of our lives. This is even more true for young people, whose character and personality are still not formed and can easily be influenced by stronger or more attractive personalities. Although friends play a central role in the lives of teenagers, in my opinion, it is the family which has a greater impact on young people. My view is based on psychological, intellectual, financial reasons but above all genetics and the pivotal role of the mother. Psychologically, the family is the central grounding factor for a young person, because the parents, brothers and sisters are the ones who actually interact emotionally with him or her.. It is through genetics that norms, values, customs, traditions and expectations are passed on to the youngster. The depth of relationship, developed over the years through shared joys and sorrows, place family members in an incomparably close bond which cannot easily be replicated by friends or anyone else. Intellectually, the family impacts the young person’s ability to think. Parents create the intellectual climate in the home and also pay for education. They are supposed to protect their progeniture from bad influences. Whether children develop the habit of reading, studying hard or striving to achieve their goals depends a lot on the parents’ example. Whether youngsters agree or disagree with their parents’ political or religious views. The family remains a reference point against which young people build their individuality upon. In certain religions, where respect for elders is of paramount importance, the family plays an even more central role in shaping the young person’s view of the world. Financially, the family dictates the child’s lifestyle. Home, school, friends, hobbies, clothes, holidays and material possessions all of these are directly dictated by the family’s prosperity. As is true for the youngster growing up in a poor family- a totally different appreciation of life is assured. No friend could have this material influence on the teenager. In conclusion, though friends can have a strong influence on a young person, it is undoubtedly the family which exerts the more powerful influence on a young person’s life. The family’s influence is indelible, unavoidable and hardwired. Some people believe that university students should be required to attend classes. Other believe that going p classes should be optional. Which point of view do you agree with? Use specific reasons and details to explain your answer. It is very rare for a student to be an autodidact even with the abundance of information available on the internet. Although it is possible to receive a degree without attending classes, in my view, attendance plays a Vital part in the university experience. The bases for my views are educational, social and intellectual. From an academic standpoint, attending classes simply enables students to learn more and how to interpret those ideas. After all, professors do not simply parrot what is written in university textbooks; they add to this knowledge from their own professional experience, reading and research. This provides an opportunity for students to understand the perspective of the professor even if you do not agree with him or her , as well as relevant and up to date information in their specialized fields. Since acquiring knowledge and developing critical thinking skills are important goals of higher education, attendance at classes should be considered a mandatory requirement for graduation. Socially, university life offers young people the opportunity to form meaningful friendships, relationships and connections for later on, let us not forget the importance of peer pressure. One can make good friends or even meet a future while in college or university not forgetting that the majority of the people will be as smart or if not smarter. This rubs off if you are mixing with people rather than stuck in your study or at the university bar. Obligatory attendance can keep people on the rails. In addition, one’s classmates may become the useful contacts in tomorrow’s economy. These important contacts are also made while attending university classes, studying and partying together. Lastly, from an intellectual perspective, a student can gain tremendously by exchanging ideas with other bright students from different cultures. In the context of classes, students can discuss issues, exchange views, explore ideas, solve problems and develop cross-cultural skills through interaction with international students. This can be a critical experience that helps students define themselves and their political and ideological place in the world. To sum up, attending university classes benefits students in a whole lot of ways. Generally speaking, it enables students to make the best of their years in university. Therefore, it should be regarded as an integral and desirable means to achieving various important segments of your education.